In climate finance, the volume of available financial resources and their regional and sectoral distribution are not the only things that count. Climate finance must also comply to qualitative criteria – particularly with regard to positive impacts on the climate, as well as the effective and efficient use of resources. It must also contribute to sustainable and equitable development. The degree to which social and human rights-based criteria are integral to the planning and implementation of climate projects is thus a further criterion for their quality. For this reason, Brot für die Welt, Heinrich Böll Foundation, Oxfam and Germanwatch have analyzed projects supported by German climate finance with regard to selected development policy aspects. For this analysis, we selected a number of relevant aspects and used publicly available project descriptions and websites to determine the extent to which these aspects are explicitly included in the projects’ objectives and measures. Participation: Have the affected population or local/national civil society organizations been involved in the planning, implementation or evaluation of the measures? Human rights: Are the protection and promotion of human rights an explicit goal of the project? Do REDD+ projects follow the principle of free, prior and informed consent (FPIC)? Gender: Does the project have a gender mainstreaming or gender responsiveness strategy? Does the project differentiate its target group by gender? What measures have been put in place for the empowerment of women? Focus on the most vulnerable groups: Do adaptation measures explicitly address the most vulnerable groups (especially smallholder farmers, residents of informal settlements, disadvantaged minorities, women, children and people with disabilities)? The selection is based on a normative framework for public climate finance developed by the Heinrich Böll Foundation (A Matter of Principles). The selected aspects also reflect risk areas and approaches in the guidelines of the German Federal Ministry for Economic Cooperation and Development (BMZ) to ensure compliance with human rights standards and principles. The analysis faced the serious problem that publicly available information on the supported measures is often very limited. While the German government has improved the transparency of climate finance in recent years, it is far from enough for an independent and comprehensive qualitative assessment of climate finance. Nevertheless, valuable insights on the relevance of these aspects could be gained through the analysis. Yet the analysis does not evaluate the implementation of projects, as this is beyond its scope and can only be achieved with on-site visits. The analysis covers projects financed by the general financial and technical cooperation (FZ/TZ) of the BMZ (including the Initiative for Climate and Environmental Protection, IKLU) as well as by the International Climate Initiative (ICI) of the German Federal Ministry for the Environment, Nature Conservation, Building and Nuclear Safety (BMUB) from 2010 to 2012. The projects contained in the database from the years 2008 and 2009 and those financed through other channels (CIM, InWEnt, non-state actors, etc.) were not included in the analysis. A total of 797 projects were analyzed (125 ICI projects, 672 BMZ projects). There is a clear difference between the financial instruments regarding the publication of project descriptions. While the ICI posts descriptions of all its projects on its website, public information is available for only around half of the projects funded by the BMZ (see Fig. 1). These are published by the implementing organizations, in particular the German Association for International Cooperation (GIZ) and the KfW development bank, but not by the ministry itself. The analysis also shows that the information made publicly available varies greatly in terms of objectives and content. While the ICI publishes project descriptions primarily for the general public, the focus of the KfW is on information on funding arrangements. GIZ project descriptions follow a clearly structured framework and provide a broad overview of the objectives and measures of the projects. The most detailed information can be found on project websites; in some cases the projects even publish project applications and planning documents. The results of the analysis of the individual projects and the respective sources are presented in the German database as its aim is to enhance the database’s quality through transparency and dialogue. As publicly available information changes over time and sources cannot be included in the evaluation, feedback and additional information can be sent to datenbank@deutscheklimafinanzierung.de. According to the project descriptions available, exactly half of all projects have made explicit provisions for involving the local population and/or civil society organizations in planning, implementation and monitoring (ICI 41%, BMZ 53%). The emphasis is on participation in the implementation; participation in planning is rare, and participation in monitoring is only foreseen in exceptional cases. The involvement of the population is generally be realized via local alliances (water user groups, interest groups, etc. ), participation in measures to manage natural resources (in REDD+ or biodiversity projects) or by strengthening political participation. Civil society organizations can be project partners, stakeholders or mediators to the local population; they can also have advisory functions. In some projects, however, participation is listed as a keyword but details are not provided about which social groups are involved and how, which is not sufficient for a positive classification. Civil society participation is less present in emission reduction projects (33%) than in adaptation and forest conservation projects (63% each). These are in many cases energy projects geared towards technology cooperation, research or influencing the political framework. Such projects, which can be found at ICI as well as BMZ, focus on advising governments and cooperating with the private sector. Civil society participation is also significantly weaker in fragile contexts or autocratic countries that have few civil society organizations or where they have little political space than in countries with a strong civil society. Gender is explicitly mentioned in goals or measures in 26% of the projects. 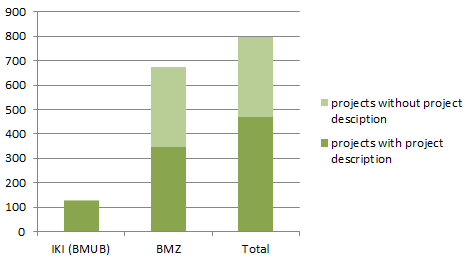 There is a distinct difference between ICI projects with 8% and BMZ projects with 33%. Information on gender mainstreaming is generally found on the project websites if they contain detailed documents on the projects themselves. The project descriptions provide information on specific actions for women, cooperation with women’s organizations and gender differentiation in the target groups of the project measures. It can also be noted that gender is less firmly anchored in projects with a stronger environmental or climate focus (energy, biodiversity and forest conservation) than in rural development and water projects classified as adaptation. Only 7% of the projects have the protection and promotion of human rights as an explicit project or development objective or have anchored it in the planned measures (BMZ 9%, 2% ICI). However, human-rights approaches such as the right to political involvement, gender and a focus on the most vulnerable groups are taken into account in other criteria. Possible human rights violations arising from the projects themselves were not considered in the analysis. In the case of energy projects in particular, there is little to indicate that their objectives include contributing to the protection and promotion of human rights. For projects with a broader climate, adaptation and biodiversity focus, international environmental agreements tend to serve as their reference framework rather than international human rights treaties. Very few forest conservation and REDD+ projects explicitly state that they uphold the international human rights standard of free, prior and informed consent (FPIC). Most projects use less clearly defined terms such as securing land and access rights, and list dialogues with the local population for their approval or participation in the implementation of project measures. 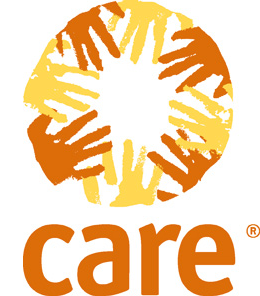 In individual cases, projects include measures such as providing training on human rights issues. A focus on particularly vulnerable groups can be distinguished in 63% of adaptation projects. This also holds true for 50% of the ICI projects. In projects with a negative classification, the focus is on policy advice or the protection of particularly vulnerable sectors. Projects in the area of biodiversity also tend to concentrate on the protection of highly vulnerable ecosystems. The aspects selected here do not allow comprehensive statements about the quality of projects funded by German climate finance. In the course of expanding this qualitative analysis, we are working on further criteria related to matters such as the climate relevance of funded measures and their contribution to poverty alleviation. At present, however, the analysis shows that greater attention is required for human rights aspects, particularly for projects with a climate, energy and biodiversity focus. Consistently integrating human rights-based criteria is a central element in improving the quality of German climate finance. This must be reflected in the climate strategy and funding criteria of the projects supported by the ministries involved. It must also be verifiable through publicly available project information. The present analysis therefore once again highlights the need for greater transparency in climate finance and makes an indirect contribution to the political dialogue on the strategic orientation of German climate finance. By consistently integrating human rights-based criteria for climate finance measures and the projects they support, the German government can make an important contribution to improving the quality of German and international climate finance.